This small office building currently has a small basement area of about 836 sq. ft. available for rent. It is part of a building less than a couple of miles from Epsom Downs Race Course and is spread across the basement, ground and two upper floors. On-site amenities include administration support, CCTV, access to a kitchen, lift access, virtual offices, mail handling and daily office cleaning. 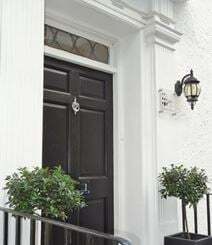 The space has good access into London as well as strong public transport links. A sizeable office block which is suited to both small and medium sized companies and is part of the Ashley Shopping Mall complex. This quality-furnished modern building also offers leaseholders use of meeting rooms and car parking and is conveniently close to shops and cafés and Epsom's rail station. This modern and spacious centre is conveniently located in the heart of Epsom, directly on the high street. It offers non branded private office space on the first floor which is reached by either an escalator or a lift. There are a number of office spaces within this vicinity as well as a café, medical centre and library. Tenants benefit from unfurnished space, with neutral interior ready for your business to make its own. Included within the rates are utility bills, building insurance and flexible terms as well as leasing options. Other amenities here include 24 hour access, 24 hour security, WiFi, an NCP car park and restaurants within the centre as well as communal on site cleaning team to ensure the building remains professional. Close to Epsom train station this Grade II listed building offers easy and fast access to central London, Heathrow & Gatwick airports, the M25 and the A3. 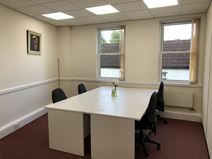 Inside you are welcomed with light and airy serviced offices, meeting rooms and a boardroom.